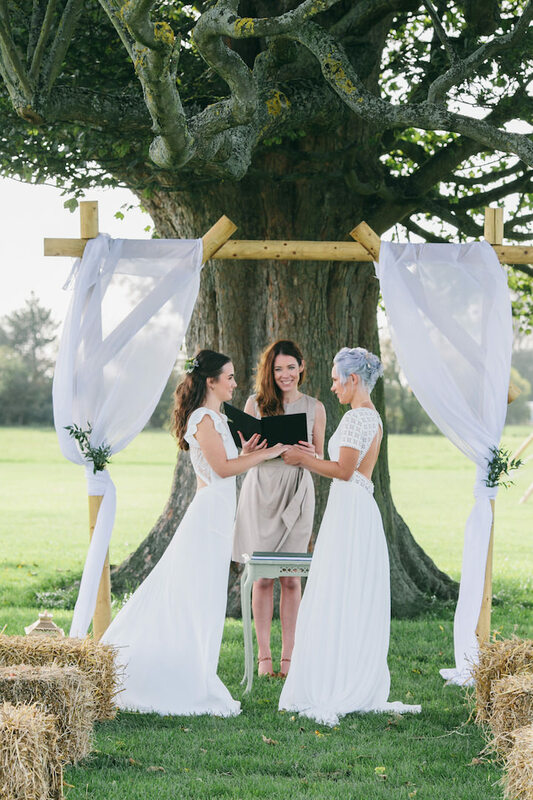 This afternoon I have a shoot that is bound to add a bit of warmth to your day. 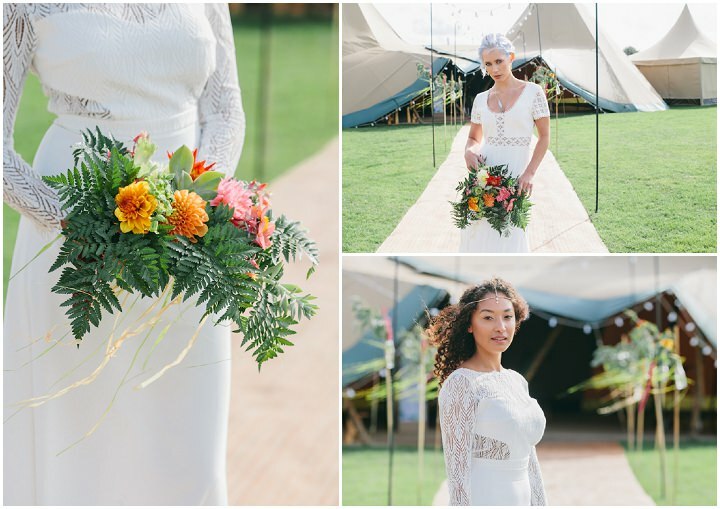 I love seeing colour in weddings. 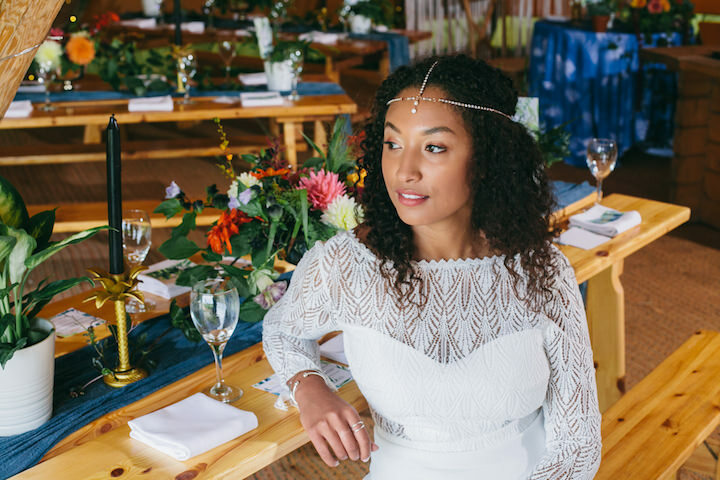 It normally comes from the flowers but today’s shoot shows us that it can come from every aspect of your day. 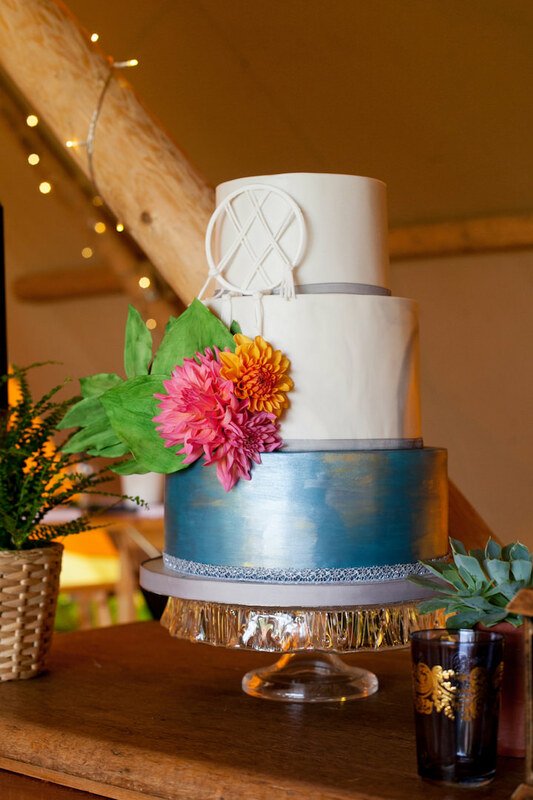 The decoration, the furniture, the cake, there really are no limits when it comes to adding patterns, colour and texture into your day. 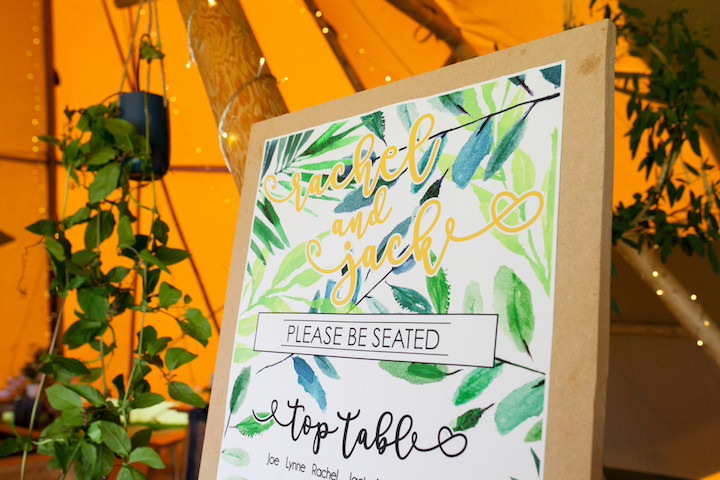 I am also loving the tropical jungle theme, so on trend at the moment! 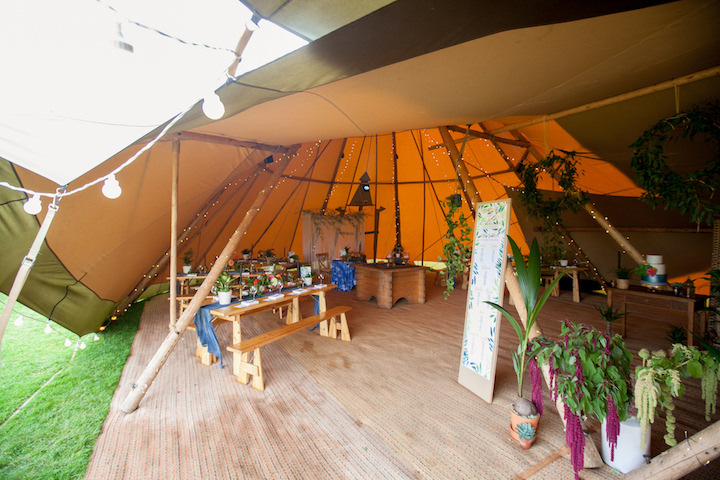 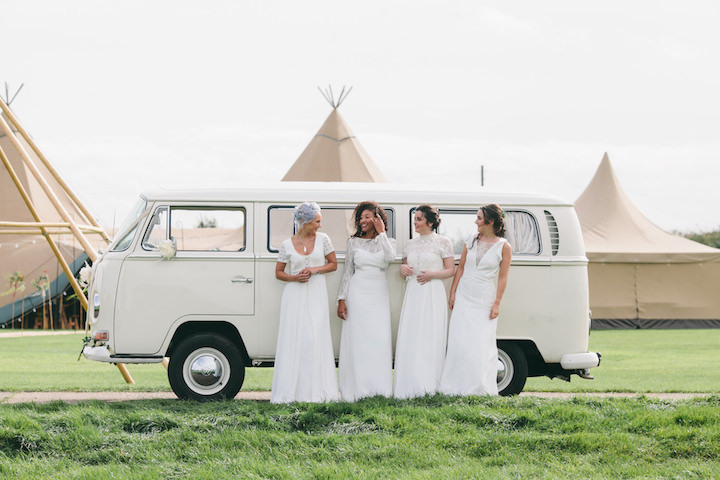 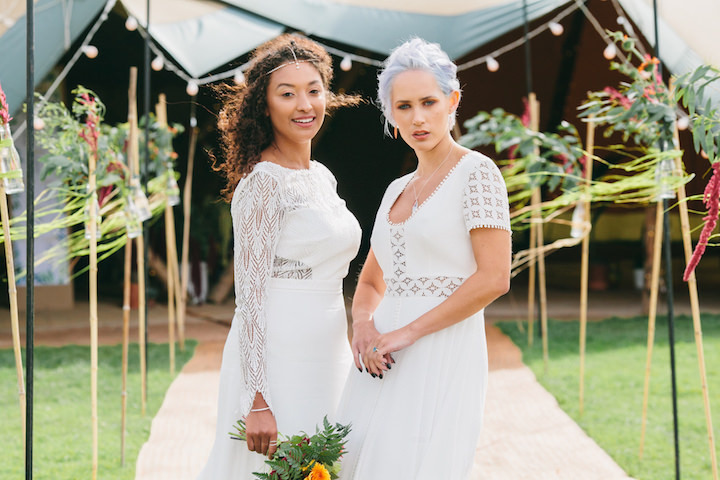 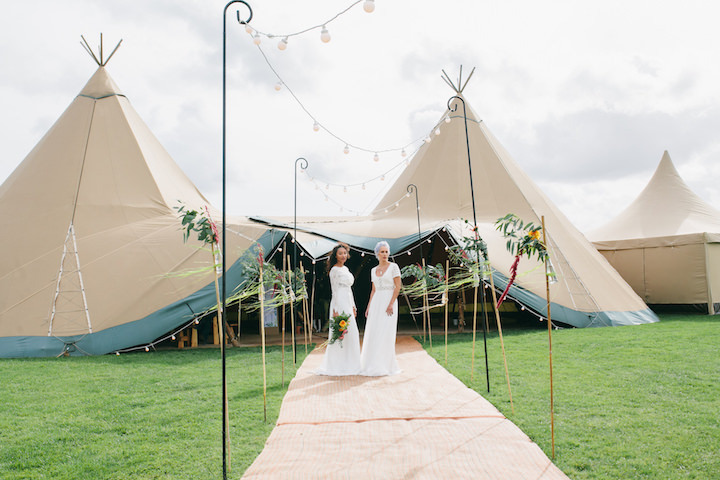 The shoot took place last September at Cattows Farm in Leicestershire and is the brain child of Jodie at Sami Tipi. 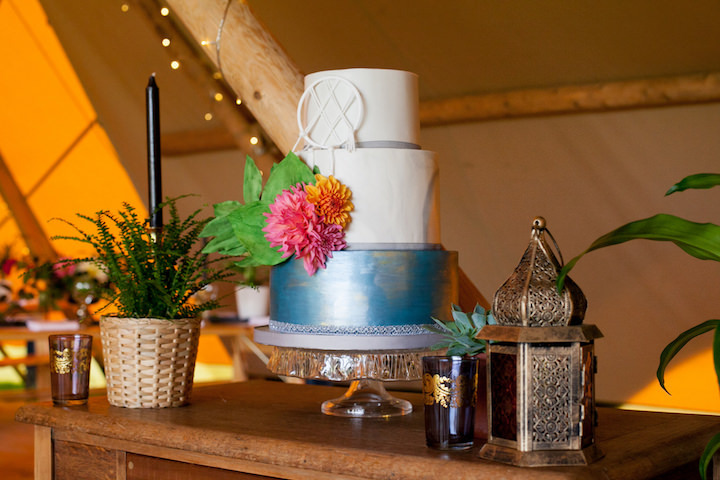 Styled and put together by Cathy from Boelle Events and photographed by Darren Cresswell. 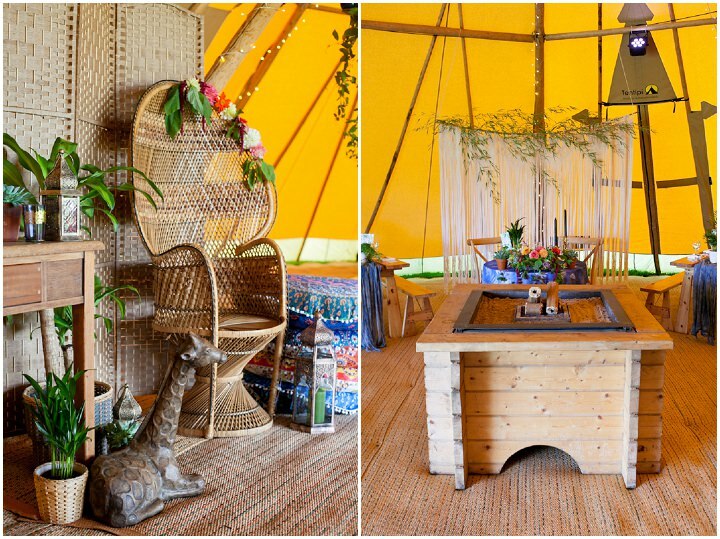 Filled with energy, colour and bohemian inspiration. 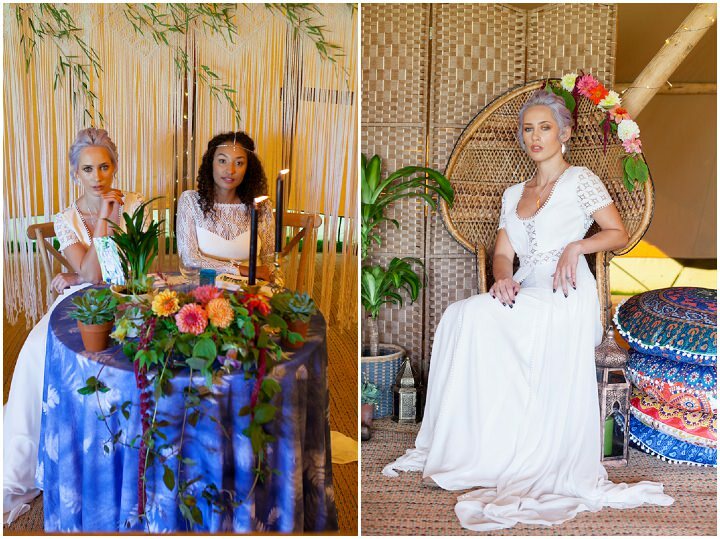 It was amazing to shoot something so vibrant and fresh. 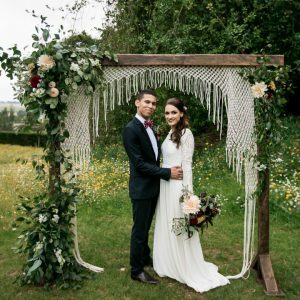 A styled shoot helps to showcase to couples how magical an outdoor wedding can be. 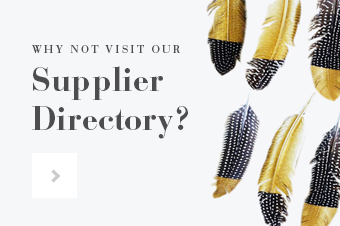 They provide us with the perfect opportunity to have a play with new ideas and collaborate with other fabulous suppliers. 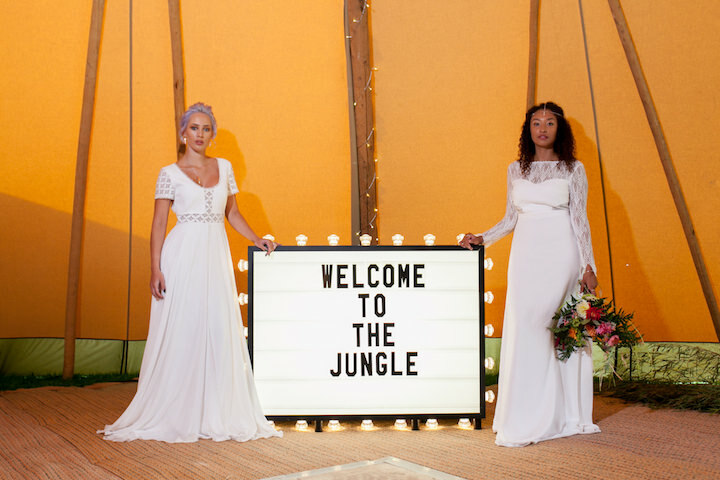 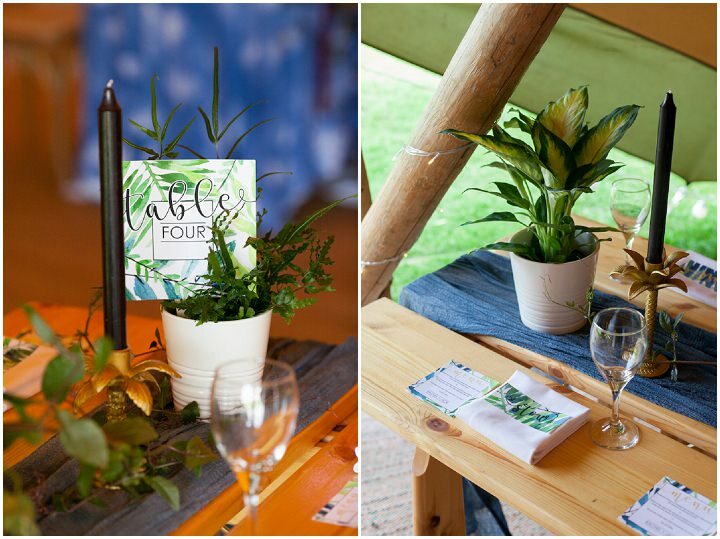 Cathy from Boelle Events was the stylist pulling everything together to create “Welcome To The Jungle”. 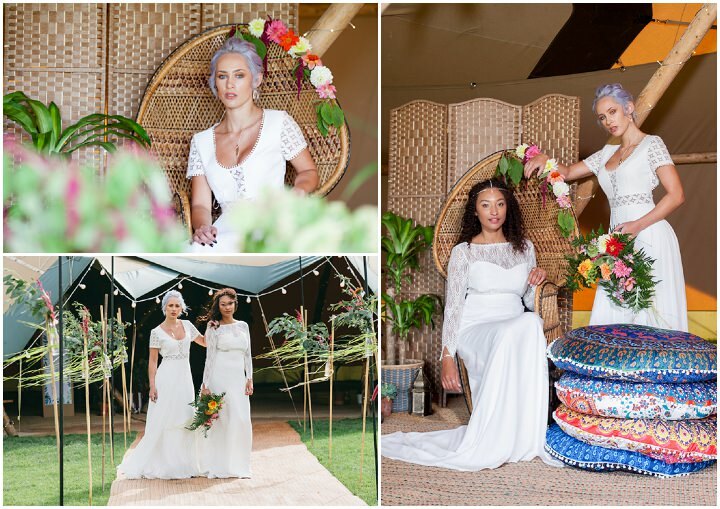 The styling inspiration came from her travels earlier this year after visiting Asian jungles and villages in Thailand. 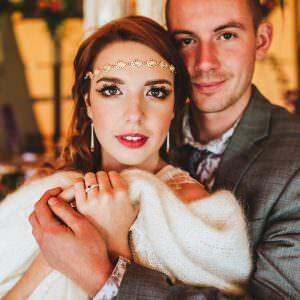 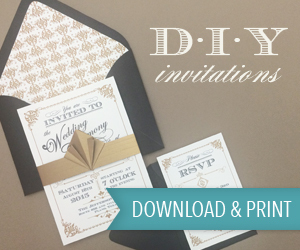 She wanted to show couples that you can use your personal experiences to help plan and style your wedding and make it a beautifully unique occasion. 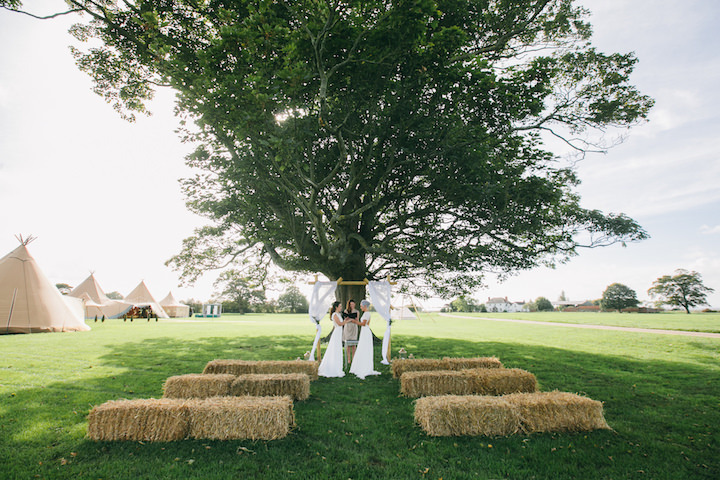 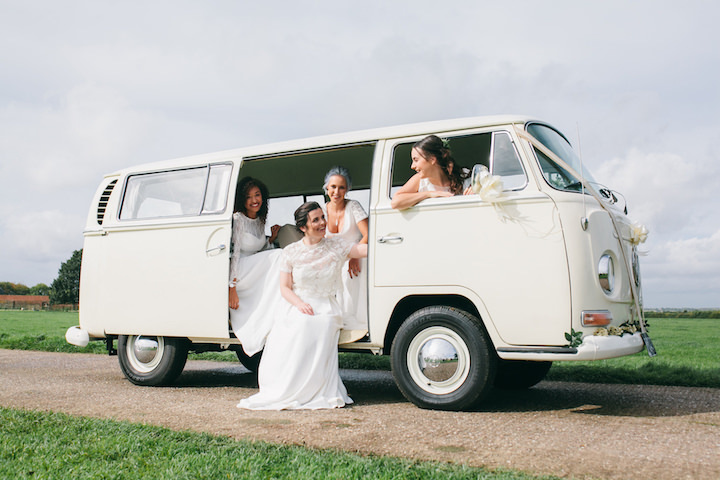 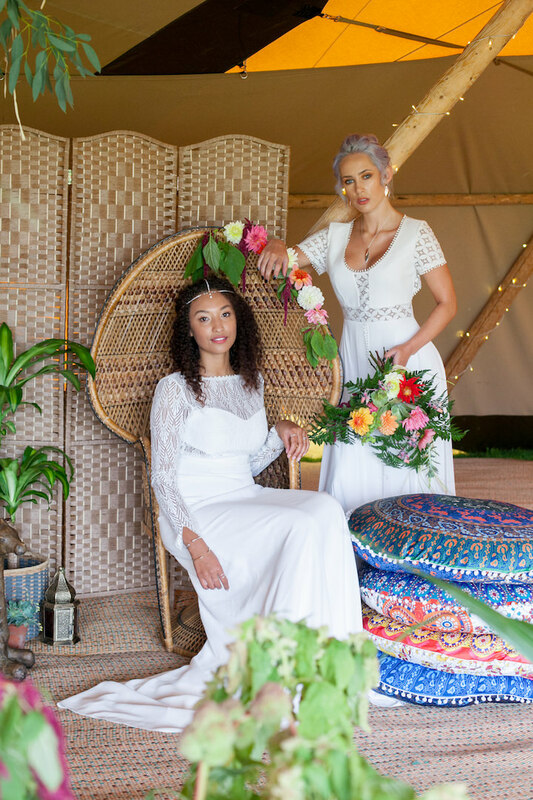 The shoot and open weekend was the perfect time for her to launch ‘The Green Wedding Movement’. 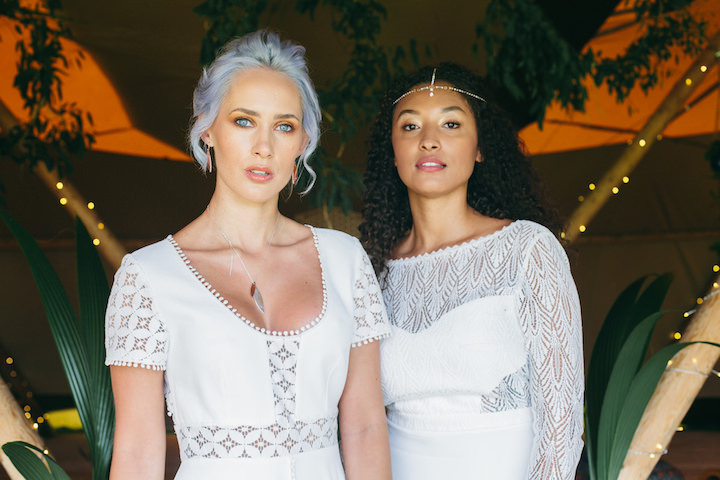 As a stylist, she handmade a lot of the accessories, which not only allows her to make bespoke, unique items but also to choose organic and sustainable materials to work with. 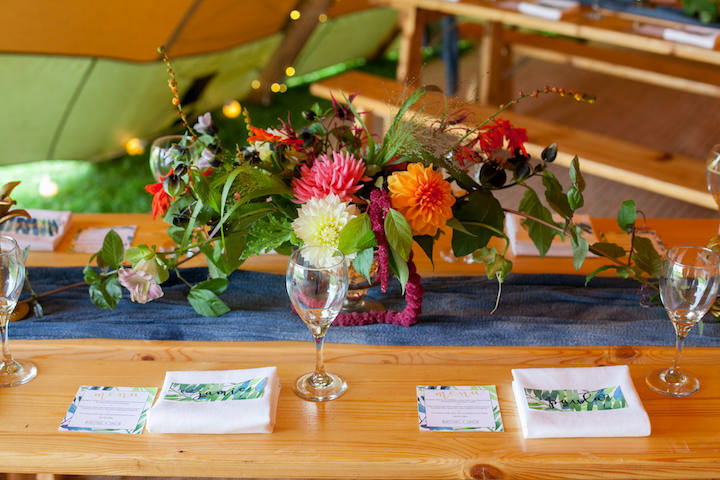 For the Jungle Tipi she hand dyed organic cheese cloth with chemical free and natural indigo dye to make the beautiful draping table runners. 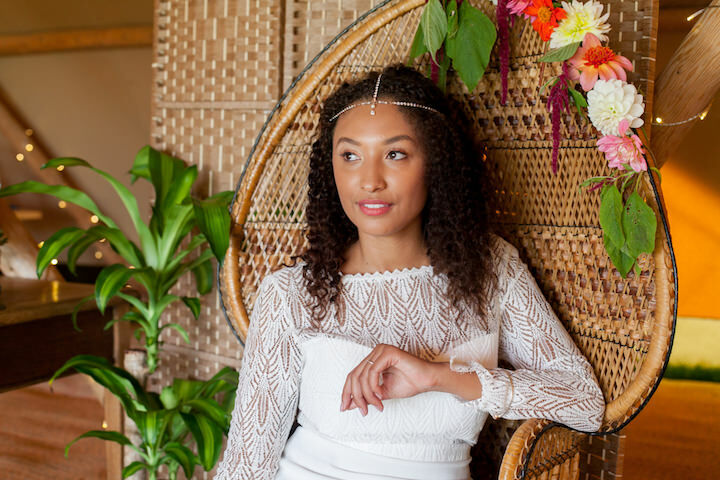 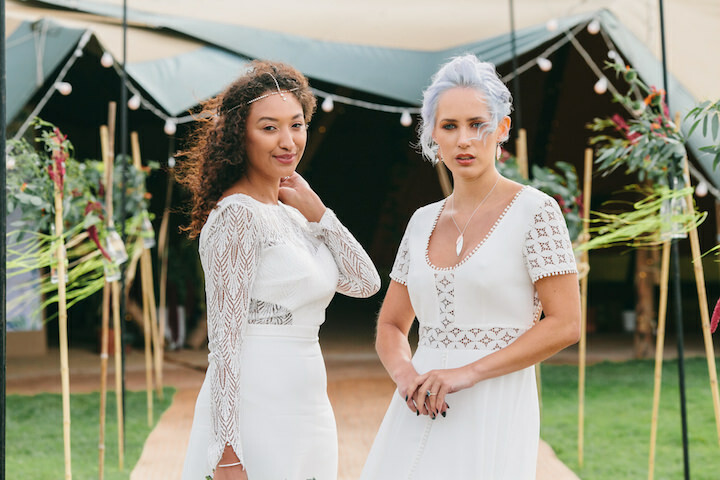 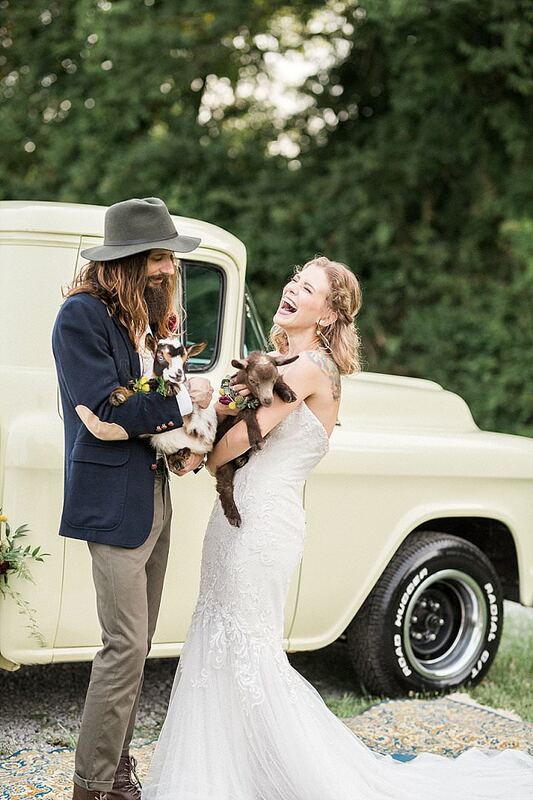 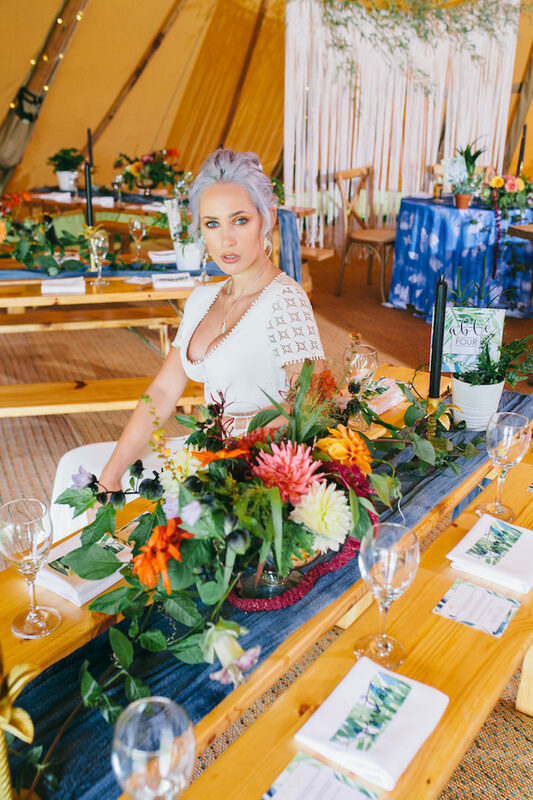 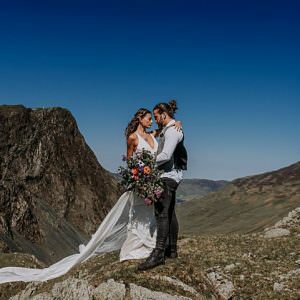 It’s important for her as a designer and stylist to combine her love of the environment into her work and help couples achieve eco-friendly events. 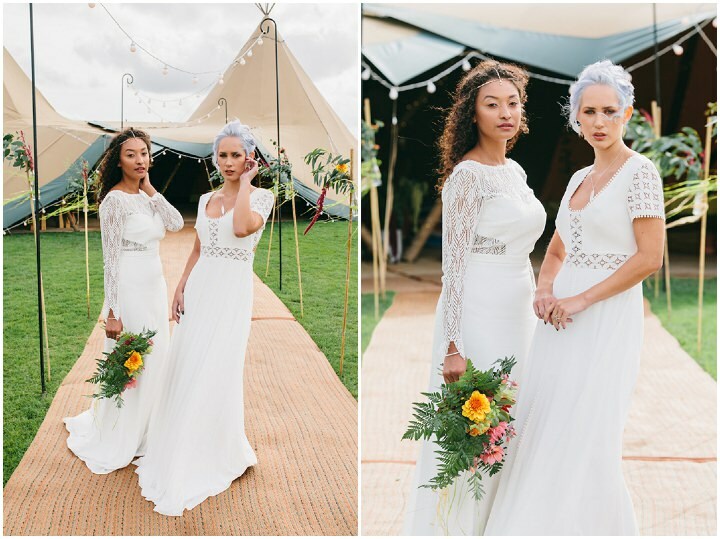 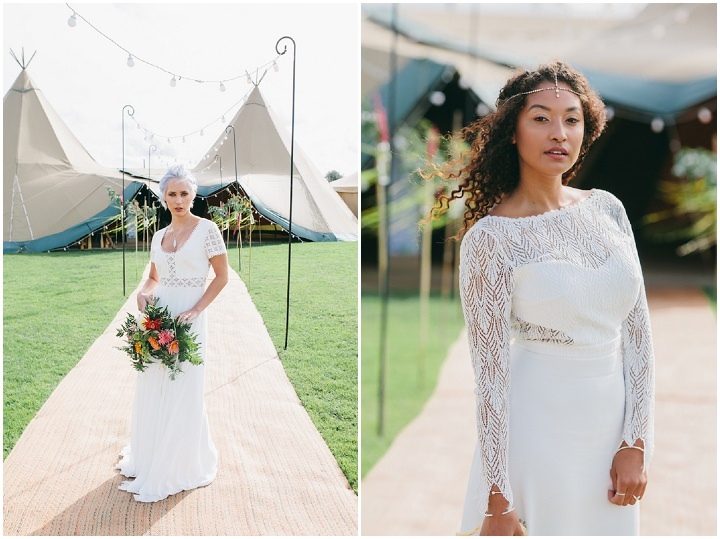 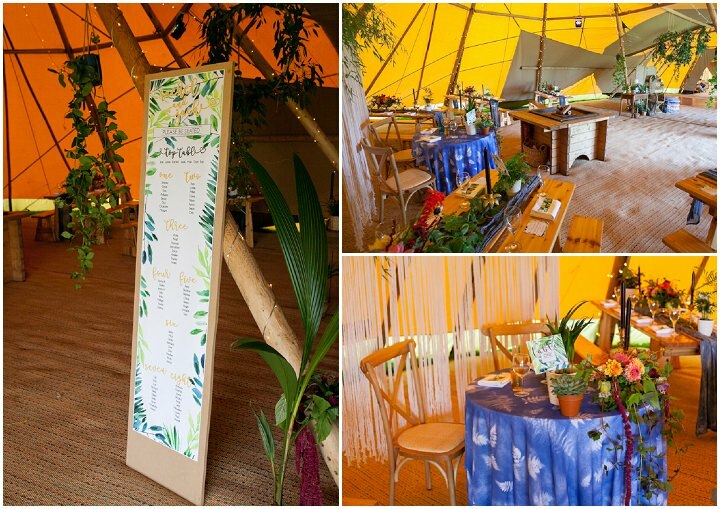 Combining bright colours and Asian inspiration made me realise that you can completely step away from the traditional and create something fresh and unique for tipi weddings.